Spock. I’m a self-proclaimed science fiction geek. If you’ve been reading my posts for a while, then you probably already know this to be true. But what you may not have known is that I have a special love for all things Star Trek. 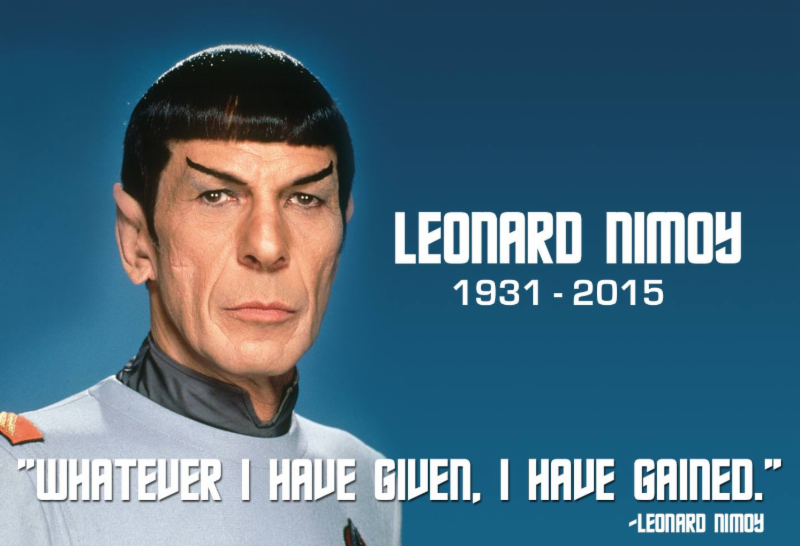 Furthermore, my admiration for Spock, or Lenard Nimoy if you please, is right up there with my all-time favorites. I will no doubt be writing more about this…for now I haven’t the time to adequately express the loss. Bonds Down -2bps. The 30-year Fannie Mae bond is down -2bps since yesterday’s close. Generally a lender’s pricing worsens when the bond is being sold off. There is about to be a new revolutionary war in America, one that has not been seen in 200+ years. American taxpayers who are sick and tired of paying for a bunch of other countries poor, when our own American citizens cannot get jobs, our own American citizens are not put first in line for a college education, our own Veterans are not given 1st class treatment, and our own poor cannot have access to the resources they need to survive….Congress and the President are not listening to we the people and they have not been for a long time….Americans are getting sick of all the lies from all parties. Maybe those that speak on all sides of the aisle need to come together and take back our country.